For most people, when they hear the word bacteria, they often think of the harmful effects when these microorganisms infect the human body. They are not aware that some are actually very beneficial to us. As a matter of fact, they play a critical role in the homeostasis of the ecosystem. Their existence dates back to more than 3.5 years and they have a significant role in the process of evolution. Cyanobacteria were the first algae discovered on planet earth, but they are actually the link of evolution in between algae and bacteria. For many years, these species were categorized into the Plant kingdom along with algae, but with the advancement in technology of microscopes, they are categorized into the kingdom of Monera along with other bacteria. In addition, cyanobacteria are discovered to be closely related to prokaryotes (organisms with no true nucleus and no membrane bound organelles) rather than the eukaryotes. The ‘cyano’ in the word cyanobacteria, came from the Greek word which means color blue. However, they get their bluish pigmentation from phylocyanin, which are used to absorb light for photosynthesis. They are photosynthetic and aquatic organisms. Most thrive in water and have the ability to synthesize their own food. There are different genuses of cyanobacteria. Two of these are Nostoc and Anabaena. Both share some common characteristics, which make it very difficult to determine one from the other. In order to know the distinct differences between the two, read on. These organisms are found in lakes, ponds, sand or usually just where the ripples lap the shore. They form spherical colonies of filaments embedded in a gelatinous substance, ranging in size from a pinhead to a marble. Within these jellylike sheaths are many tangled filaments made up of cells. Along the filaments are the heterocytes. These are cells that contain membranes and enzymes needed for nitrogen fixation. They have thick walls and pores at either side where they meet other cells. Their usual method of reproduction is fragmentation or simple fission – a cell divides into two smaller cells and the filaments grow in length. However, in harsh environments, Nostoc produce spores. Each spore has thick walls containing food and when they mature, they separate from the parent filament and germinate to other locations. The spores have the ability to survive extreme conditions such as cold temperatures. Anabaenas are known for their intercalary heterocysts and amorphous filaments. They are also known for their nitrogen fixing abilities. Anabaenas have an endosymbiotic relationship with specific plants. Some of these organisms live within the plants and they serve as chloroplasts in which plants use to make their food. Furthermore, anabaenas also protect their habitat by producing neurotoxins which are harmful to animals. For this reason, certain anabaenas are used as effective natural fertilizers. 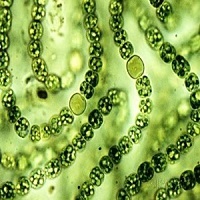 Cynobacteria such as the Nostoc and the Anabeana have been tremendously essential in the process of evolution and the ecosystem. Over the years, millions if not billions of these organisms changed the chemistry of the air we breathe from being unsuitable to viable for life. Jade Sison. 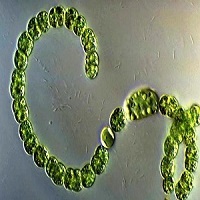 "The Difference between Nostoc and Anabaena." DifferenceBetween.net. April 29, 2015 < http://www.differencebetween.net/science/the-difference-between-nostoc-and-anabaena/ >. my question is nostoc and anabaena are blue green algae.and filamentous and of course unbranched.they are found in pond, paddy field etc but why they are take place in different Genius? According to what is written above, Nostoc forms gelatinous colonies whereas Anabeana doesn’t. Reproduction is also different but generally can’t be seen from prepared, stained, slides. Comparison between Rivularia and Oscillatoria? My problem dismissed when i wrote this differentiate b/w Nostoc and Anabaena. I’m satisfied with your products. Thanks for the good job. It ‘s been quite educating. Thanks!